It feels like I haven't been shopping in forever. Pay day is slowly around the corner but it is taking forever. I have seen so many exciting new launches in the beauty world recently and I thought it would be nice to create a classic wish list. 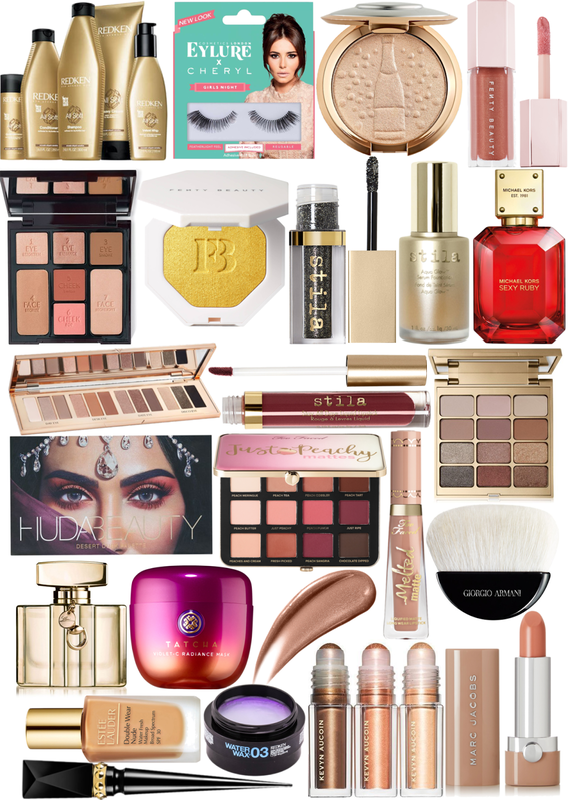 I haven't made a beauty focused shopping list for quite some time so I hope you enjoy looking at my picks. The Charlotte Tilbury Instant Eye palette is already causing quite the stir on my Twitter and Instagram feed, everyone is talking about it. The colours look incredible and I am dying to see what the swatches look like. Hair product wise, Redken have pretty much saved my hair, it was in quite bad shape a few months ago but the Extreme range has put it back on track, now my hair is healthier the Redken Soft range is now at the top of my wish list. Oh my goodness, what a lovely wish list! Those Cheryl lashes look SO gorgeous. My gosh!